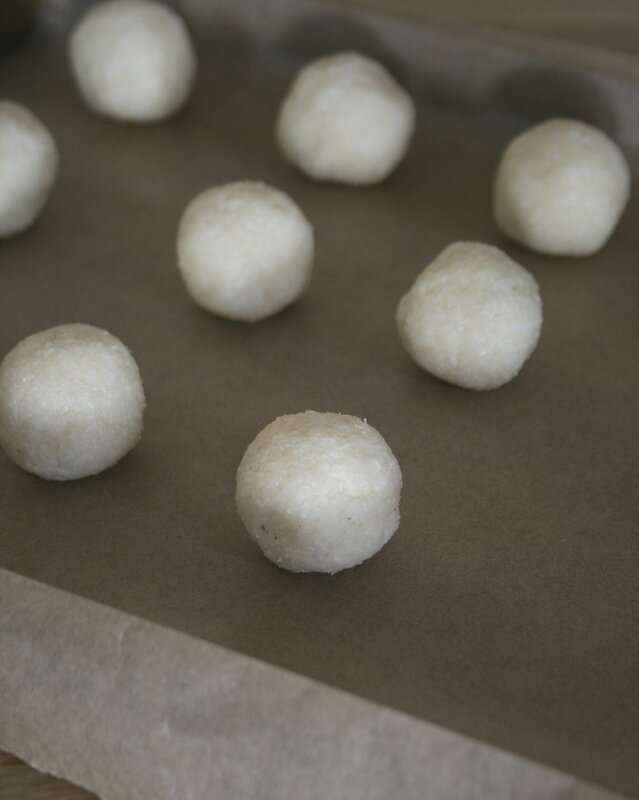 These are one of the simplest treats you’ll probably ever make. Just 5 ingredients, and an absolute crowd pleaser. At home they disappear faster than anything else, and you wouldn't even know they were nourishing! They’ve become my go-to easy sweet recipe, as they don't need to be baked and can can be made and consumed in almost 30 minutes! I first came up with the recipe for these about 2 years ago and it went down so well at the time that I just knew I had to share the recipe! I say these quantities make about 12 of them, but if you're anything like me, you’ll have eaten a good portion of the coconut mixture before it’s even hit the bowl! I won’t bore you any longer with the chat, here’s how simple it is!